This seems like a crazy deal... an Eton ZoneGuard+ Weather Alert Radio System with Wireless Alert Modules for $10. 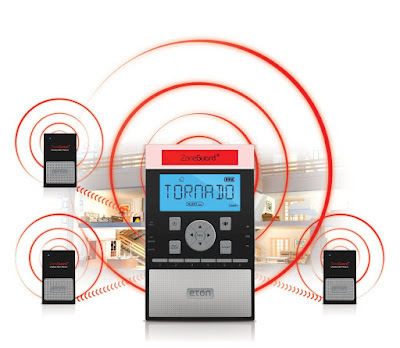 It's weather alert radio plus modules you can place throughout your house, so you can be notified anywhere. On my Amazon page, the receiver ans 2 modules come up at 19.89, the extra modules are 10.54. Me too, now. Price change.